We’ve all been there… It’s the end of the month and you need to move from one property to the next. You only have one or two days to pack up all of your belonging, move them to the new property while still leaving time to clean the old property. This process makes moving much more stressful than it needs to be and there is a better way. Use a self storage facility to help stage belongings ahead of time. Self storage isn’t always about long term security for your belongings, it can help when making the move from one property to the next. Here are a few tips to get you started. Heavy items can take the longest to move. One or two weeks before you plan to move, start preparing your largest items for the move. Things like appliances, furniture, and large toys are perfect items to get started with. Plan to spend a whole day moving your largest items and be sure to employ the help of a friend or family member along with a large enough vehicle to make the move easy. Don’t forget to use the extra time to take it slow to prevent injuries and fatigue. There are a lot of small things that can take a ton of time to pack. Start packing dishes, and hard to pack items into easy to manage carrying boxes. Be sure to leave a few things behind so you’ll still have some amenities until you’re ready to move to the next property. If you can be sure to start cleaning some items ahead of time. Things like ovens, bathtubs, floors, and garages can be time consuming to clean. 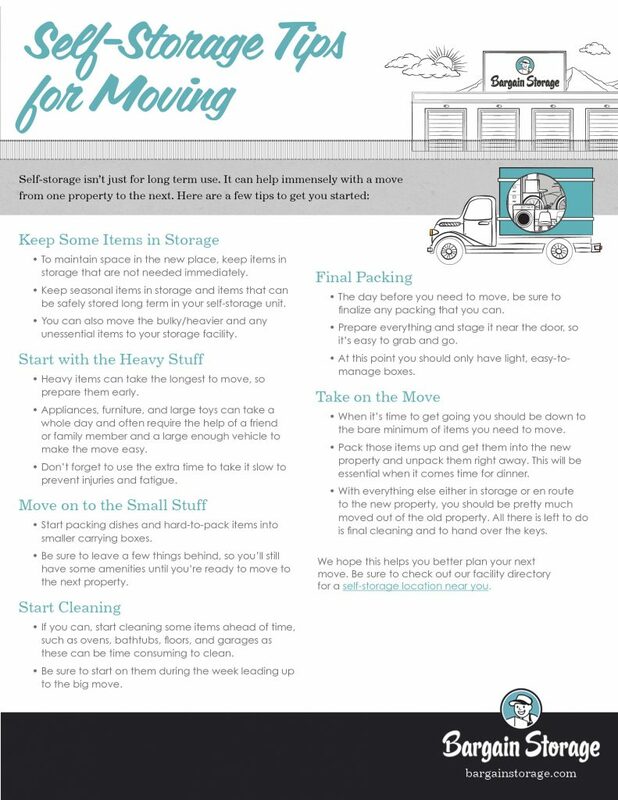 Be sure to start on those things during the week leading up to the big move. The day before you need to move, be sure to finalize any packing that you can. Prepare everything and stage it near the door so it’s easy to grab and go. At this point you should only have light easy to manage boxes. During the move you should be down to the bare minimum items needed to move. Pack those items up and get them into the new property and unpack them right away. This will be essential when it comes time for dinner and all of your other items are packed up. 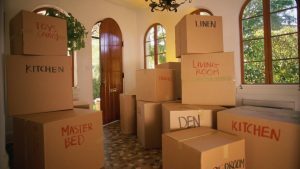 With everything either in storage or on route to the new property you should be pretty much moved out of the old property. All there is left to do is final cleaning and to handover the keys. Prepare to move back the heavy stuff and other essential items for storage. Since you’ve spread the offor over a couple weeks you should have the energy and stamina to move those last few items. We all have those prized possessions that sit in boxes but are important to us, or possibly it’s that summer wardrobe. Either way it’s now your opportunity to keep items in storage and to free up some space in your new property. Keep seasonal items in storage and items that can be safely stored in your new self storage unit. We hope this helps you better plan your next move. Be sure to check out our facility directory for a self storage facility near you. View our checklist below or download it here!